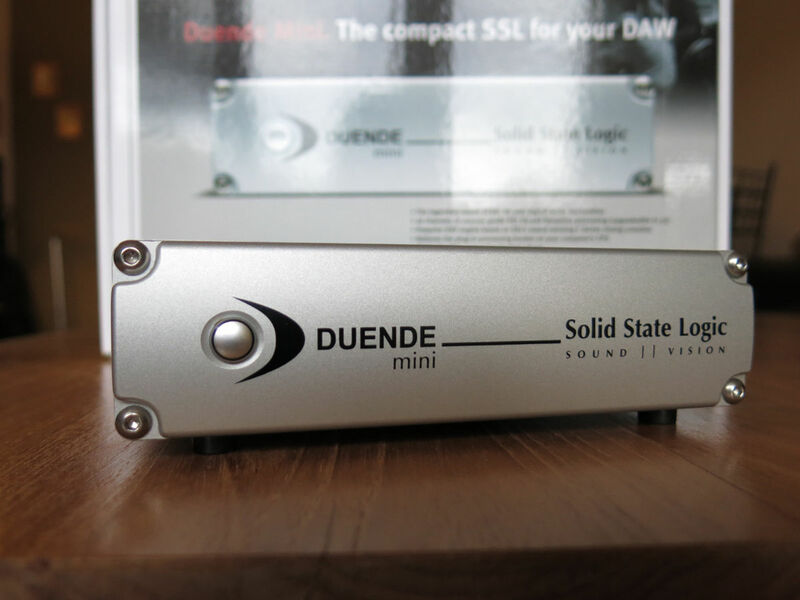 Duende Mini, DSP Board from SSL in the Duende series. 32-channel SSL EQ DYN + + The famous master bus compressor used to the greatest hits of rock history! Runs flawless on MacPro 2.66 Quad, 5 GB of Ram. Not only solicits the processor. My SSL in my backpack! Plug year PLAY! It works! a special mention for the optional plugin drumstrip brings an incredible punch. Of course I would do this choice why not switch to channel 64? I tried UAD (GND complementary color and grain, but give less accurate and efficient DSP) and TC PowerCore (blah). 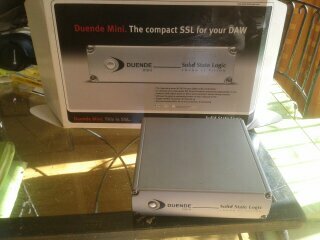 This one is a real working tool worthy of SSL but accessible to small grants. Still I had more than my money's worth. - What technical specifications motivated your choice? DSP card showing the effects of consoles in SSL, SSL sound in a device that takes a minimum of space! - What is your config (motherboard / CPU / Ram / Hard ,...)? 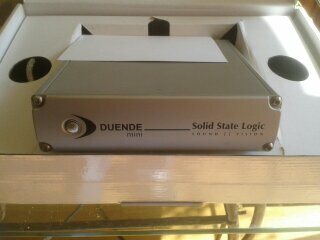 Mac book with RME Fireface 800 linker on the wearing of duende! * Digidesign Pro Tools 7 Through the use of VST-RTAS wrapper. - Installation is it without problem? - Have you experienced any incompatibility? - The configuration gnrale is easy? handling is very easy AC plug and play! Yes to the instalation, APRS appointment at the site of the manual ssl plugs in, but this has nothing nasty is ca compressors or eq so it will be for the pdf ECONOMY paper will suffice! - The drivers are stable? - Are they often put day? We'll see in time why they trust a SSL! - What software do you use most often? - What you get lag? Gr by the software with no worries off! - What is the particular feature you like best and least? The quality of I must say that the slap! for having the DSU for a while SSL is over. Please note this is not the emulation as the UAD DSP but true. The evolution of the beast upgrade to meet his big brother finally well jou SSL products not think much brid! Hope he does the marketing incentives such as the UAD with discounts. Total in the beast could cost 1925 euros but it is really worth seen how it sounds! - Have you tried many other models before acqurir? A number yes especially direct competitors and the Powercore UAD, they are very good complement to grace their multi effects plug reverb chorus etc. 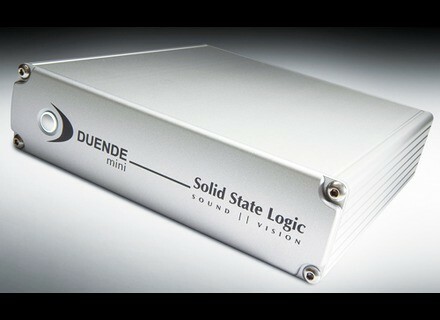 but for the duende mix will become a classic. - How do you report qualitprix? Very good quality of product and scalable for 600 euros it was worth the price. - What characteristics have motivated your choice? 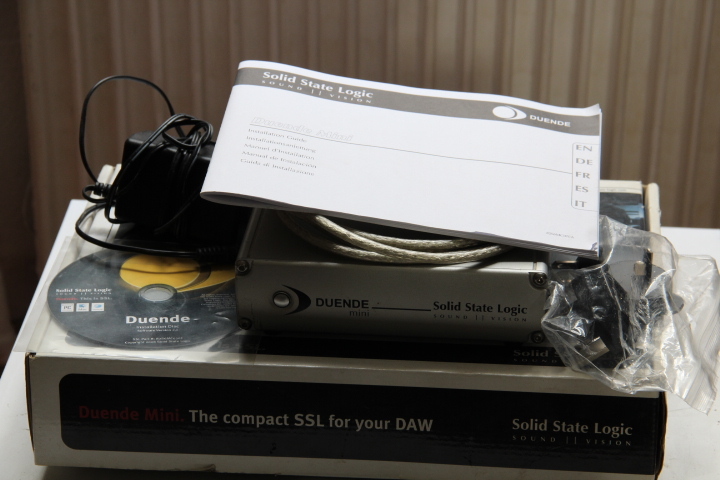 Buy a PCI firewire just for the Duende, as incompatible with the Digi002R. - Are they often updated? 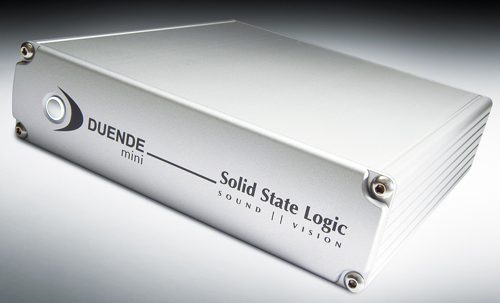 At NAMM (Booth #6907, Hall A), Solid State Logic has announced tthe Duende Mini Expanded and Duende Studio Pack options.